Centralized air conditioner installation cost varies depending on factors like building size, selection of unit based on the heat-gain evaluation, unit efficiency rating, labor rate, refrigerant lines and other types of equipment. Installation of Ducted AC cannot be considered a DIY (Do it yourself) project. An uncertified individual cannot deal the significant challenges of installation. According to experts, the average cost of installation varies from as little as $2650 to as high as $15000, and this type of AC unit is typically the most expensive installation. The fee of a contractor depends upon the level of experience. A contractor with less experience might charge lesser than a very experienced guy so that a contractor can bill you from $40 to $250. The contractor quantifies an essential number of units required ineffective cooling of your indoor premises. In case, the owner would like to assess their home to get the estimation of the installation cost and the requirement instead of hiring a certified professional, he or she should follow United States Department of Energy guidelines for assessment. If you already have refrigerant lines installed, the basic air conditioner installation would cost from $1200 to $2000. The average unit size ranges from 1.5 ton to six tons at 36k to 72k BTUs. The cost of the unit outright depends on the insulation, the tonnage, and the SEER2. One ton of air conditioner potentiality is as equal as 12,000 BTUs of cooling. You can find a wide range of AC units in budget, standard and premium pricing offered by different brands. According to PickHVAC a Goodman brand budget air conditioner could cost from $700 to $2800 and a premium AC unit of Lennox can cost from $1100 to $3950. Typically, the units are sold by local HVAC contractors with an inclusion of installation fee. A 1.5-ton air conditioner unit can substantially cool 600 sf to 1000 sf of space, and the only unit could cost you $1500 and $3400 with the installation. A 2-ton unit can cool a space ranging from 10001 sf to 1300 sf, and just the unit would cost $1750, but with installation, it will cost $3850. 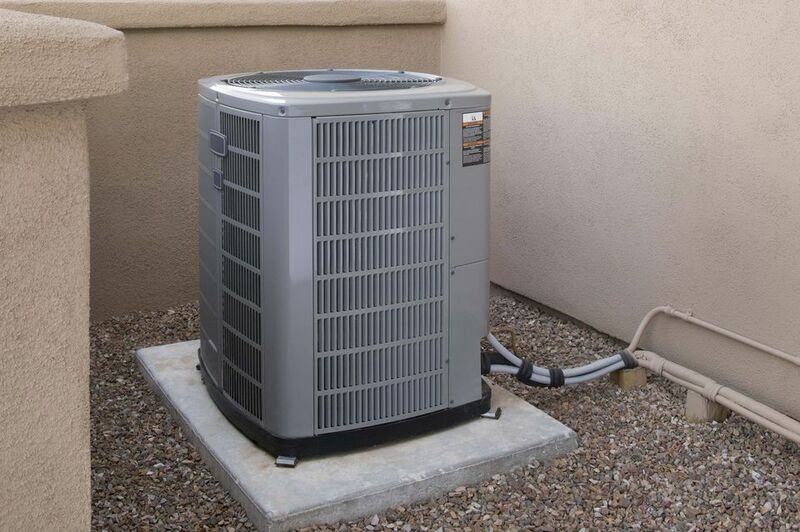 A 2.5-ton AC unit can efficiently cool 1301 sf to 1600 sf of space, and the unit will cost for $1950. With installation, the unit will cost $4270. A 3-ton unit can cool 1601 sf to 1900 sf of the area. Just the unit will cost $2150, and with installation charges inclusion the setup will cost $4650. A 3.5-ton unit can substantially cool 1901 to 2200 sf of an area. With installation, the unit will cost $4990, and if you are just looking for unit pricing, it will cost for $2360. A 4-ton air conditioning unit can cover an area of 2201 to 2600 sf for cooling. The price of just a unit will cost you $2550, and with installation, the pricing can be $5570. With a 5-ton ac unit, an area of 2601 to 3200 sf can effectively cool. The cost of the unit could be around $3060, and Moreover, it will cost $7390 with the installation. It is a plastic platform on which the condensing unit is mounted in the yard. It cost $20 to $150. They are also called as vapor line, return line, or suction line. The lines, which are made of copper, fundamentally carry the refrigerant between the condenser coils of indoor and outdoor units. It plays an essential role in cooling. It can cost from $120 to $400. It basically exchanges heat. The indoor coil collects the heat from the air, traverse it through the refrigerant line, and release it from the outdoor unit. As a result, the heat is removed from the air, so indoor coil effectively gets cold to condense moisture. Are you ready for installation? Experts advise to hire a licensed contractor to accurately find the most appropriate air conditioning unit for your office or home instead of doing it yourself. How Does a Bath Board Help People with Mobility Issues?